Eyelashes can make a whole lot of difference to the way you look – just picture Kim Kardashian’s or Kylie Jenner’s statement-making lashes on the red carpet. With both eyelash perms and eyelash extensions having lasting effects of up to few months, it is important to know the differences between them before making an informed decision. Continue reading to know how they are different in terms of procedure, maintenance and cost. An eyelash perm is a semi-permanent treatment to curl your natural eyelashes upwards. Think of it as an optical illusion: upturned eyelashes look much longer than straight ones, thus leaving you with a doe-eyed look. An eyelash perm can lasts for about 1 to 3 months before your eyelashes return to their original state. For an eyelash perm, lashes are first coated with a special adhesive and wrapped around mini foam rollers or equally diminutive heated chips. This holds your eyelashes in the curled position you desire. You will be instructed to close your eyes tightly as the beautician applies a perming solution or cream on your eyelashes. Following that, the beautician will cover your rolled-up lashes in a plastic wrap and let the concoction work its magic for about 5 minutes. The final step involves the application of a neutralizer and conditioner to the eyelashes. This session usually lasts for about 45 minutes. Eyelash extensions involve the addition of artificial lashes to your original eyelashes to make them look longer and thicker. Salons usually provide lashes that are between 8mm to 14mm. To achieve a natural look, lashes between 8mm to 10mm are recommended. For a dramatic and voluminous look, lashes between 11mm to 13mm would be ideal. 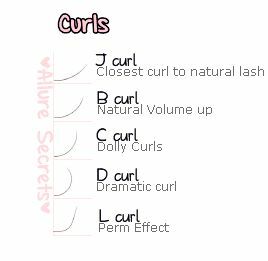 Different combinations of lash length are used to achieve different looks. By sticking fake eyelash to eyelashes, there is a decreased risk of eye infection as chemicals are only touching your eyelash and not your eyelid. There are many ways of applying eyelash extensions. The most ideal way would be to apply it lash by lash. The beautician would first place tapes to the lower lashes to protect them during the procedure. Extensions are then added by hand using glue, and are applied 1mm away from your lash line. As eyelash perm does not involve the addition of fake eyelashes, rubbing your lashes will not cause them to fall off. However, for eyelash extension, try not to rub your eyes! Else you’ll find yourself back in the salon for a touch-up after 2-3 weeks. Usually, an eyelash perm is more affordable than eyelash extensions as eyelash extensions require a lot more time and effort to select the right lashes and apply them professionally. Eyelash Perm vs Eyelash Extension: Which one is for you? If you are looking for low-maintenance and more natural looking eyelashes to wear on a daily basis, an eyelash perm would be recommended. On the other hand, if you are unhappy with how your current short and sparse lashes, an eyelash extension would be a good investment. Eyelash extensions can transform your lashes to more voluminous looking eyelashes.